Learn how this program of the NHPCO is helping to change public perception of hospice. At the time of this broadcast I am still traveling through Italy and biking in the Puglia region! I’ll be gathering information and writing stories for a new book on grief. You can follow photos of my journey on Instagram and Facebook if you are interested. As always I am infinitely grateful to all of my supporters on Patreon.com/eolu who have been making monthly contributions to keep this show and the End-of-Life University Interview Series on the air! Your support means so much to me! If you would like to become a patron or learn more about it go to Patreon.com/eolu. Anita Brikman joined NHPCO in September of 2013 as the senior vice president of strategic communications and spokesperson for the national organization, which represents 1,600 hospice and palliative care providers with 3,400 locations across the United States, and more than 60,000 individual members. NHPCO’s affiliates, the National Hospice Foundation and Hospice Action Network, promote access to this end-of-life benefit and advocate to lawmakers and regulators about its vital importance to patients and families. I hope you’ll visit Moments of Life and read or watch the beautiful stories of hospice patients there! Learn from palliative care thought leader Dr. Ira Byock how end-of-life care has changed over the past 2 decades since his book “Dying Well” was published. Learn more about Dr. Byock at www.irabyock.org. As you listen to this broadcast I am currently in Italy–traveling and doing research for my new book on grief (also eating … a lot!) This episode has been pre-recorded (along with several others) so that there will be no interruptions in the podcast. If you want to see photos of my journey follow me on Instagram or Facebook. This podcast is generously sponsored by donations on my page at Patreon.com/eolu. Thank you to all of my patrons–your support means everything to me!! Submit your questions for the next “Hospice Happy Hour” Q&A Session here and I’ll answer them next month. You can become a patron for just $1 or $2 per month and you’ll receive access to the Q&A recordings, the Top 10 Interviews from EOLU, and the opportunity to have your work promoted on this podcast. Go to Patreon.com/eolu to learn more! 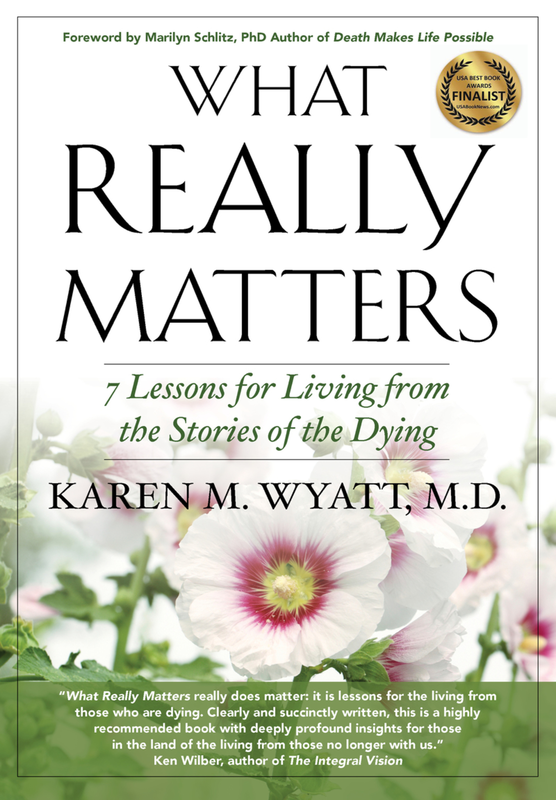 Download the Readers Discussion Guide for Dying Well here. Dr. Ira Byock is a leading palliative care physician, author, and public advocate for improving care through the end of life. He is the Founder and Chief Medical Officer for the Institute for Human Caring of Providence St. Joseph Health. Tune in every Monday for a new episode of the podcast! If you enjoy this content please take a moment to leave a review on iTunes – it will help other listeners find the podcast.